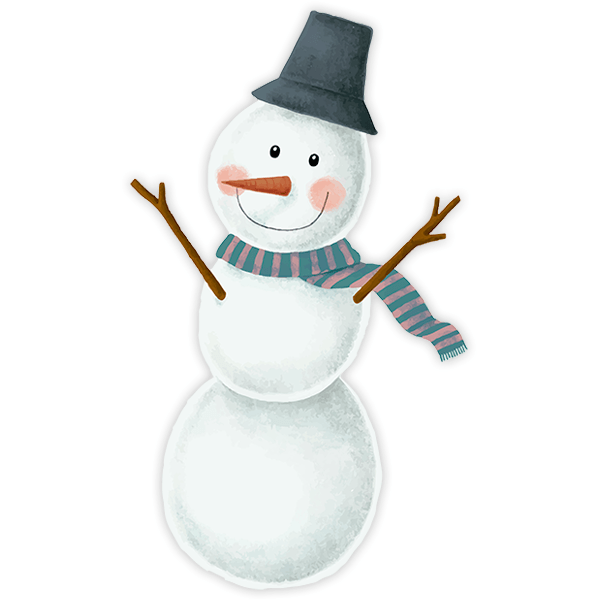 Kids wall sticker Snowman smiling. Illustration of a snowman that looks like it was taken from a fairy tale. 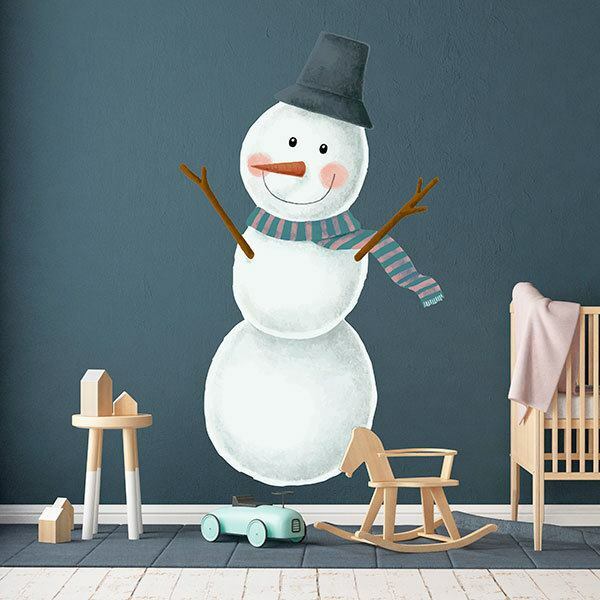 He wears a dark blue hat and a striped scarf, making a snowman is a very special tradition for children and with this design you can decorate their room. Size: 39 x 23 cm. 11.42 x 19.69 in. 13.39 x 23.62 in. 15.75 x 27.56 in. 18.11 x 31.50 in. 20.47 x 35.43 in. 22.44 x 39.37 in. 24.80 x 43.31 in. 27.17 x 47.24 in. 29.53 x 51.18 in.